If Apple can build enough units to satisfy consumer demand, it could sell as many as 67 million iPhones this quarter, crushing the company's previous all-time sales record, according to a new survey conducted by Morgan Stanley. 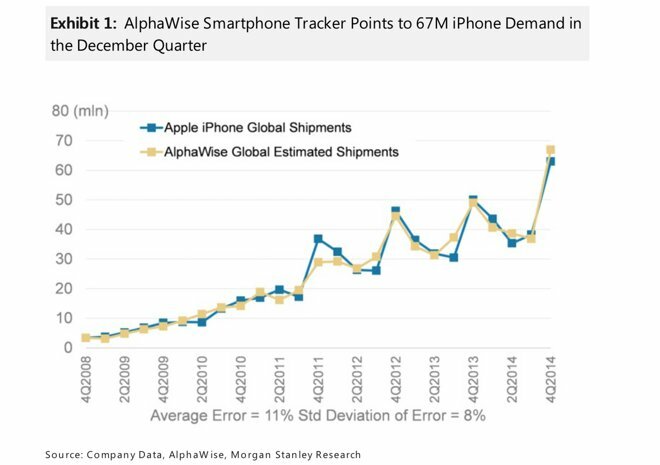 The investment firm's AlphaWise Smartphone Tracker compiles sell-through data using Web search analysis, and its latest calculations peg iPhone demand for the quarter at 67 million units. That's ahead of analyst Katy Huberty's projection of 62 million iPhone units for the quarter, as well as Wall Street sell-side consensus of about 63 million units. Morgan Stanley Asia tech analyst Jasmine Lu believes Apple's supply chain may build between 65 million and 70 million iPhone units within the December quarter, suggesting Apple could achieve those lofty numbers. To put it in perspective, Apple's previous all-time record came in the holiday 2013 quarter, when the company shipped 51 million iPhones, on its way to $13.1 billion in profit. 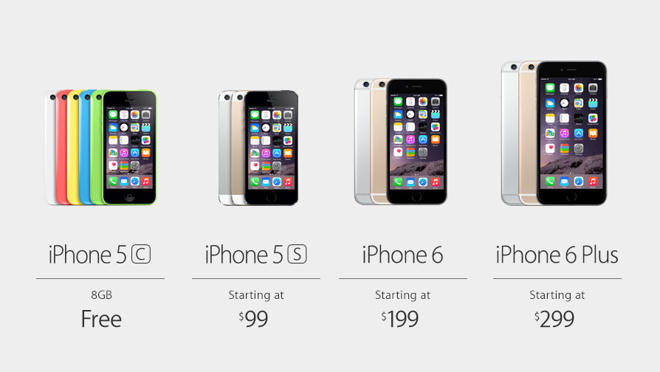 Sales of 67 million iPhones would well exceed not only Apple's previous record, but also market expectations. Huberty said Friday that Apple's supply chain projections also bode well for Apple's March quarter, as any channel inventory fill would need to be achieved beyond the December quarter. "Apple has said they plan to increase iPhone channel inventory from a target range of 4-6 weeks to 5-7 weeks, and that the company was below the 4-6 week range entering the December quarter," Huberty wrote. "We estimate a two-week channel inventory replenish could add about 7M units on top of end demand." Regionally, Morgan Stanley's data shows that U.S. demand for the iPhone is tracking in-line with overall global trends. But in China, consumer demand for the new iPhones is tracking nearly three times greater than global year over year growth. Huberty also noted that Brazil is tracking significantly above global trends since the new iPhones debuted there on Nov. 14. But demand in France and Japan are somewhat lacking, which may be partially attributed to factors outside of Apple's control —specifically, an increase in consumption tax in Japan, as well as regulators preventing certain carrier promotions. Morgan Stanley has maintained its "overweight" rating on AAPL stock with a price target of $126.